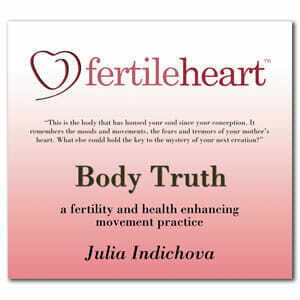 A fertility and health enhancing movement practice with Julia Indichova. 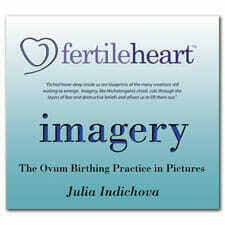 Fertile Heart™ Body Truth, one of the key tools of the O-V-UM Process, is an original movement practice which evolved out of Julia’s personal experience and her work with individuals who sought her guidance. Through a guided meditation and specific movement sequences the practice allows us to physicalize and release self-defeating beliefs buried deep within our tissues. The body is then free to become an infinitely fertile instrument of creation and an ambassador of truth. Double Audio CD or digital download. 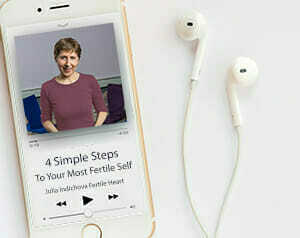 Read more about how this powerful, original Fertile Heart tool can turn self-defeating “issues in your tissues” into fertility boosting energizers. An increasing volume of studies speaks of the link between unowned emotions and physical symptoms. The presence of a cell-level intelligence is a widely discussed subject. Yet none of this research is useful unless we validate it through direct experience, then translate it into healing behavior. 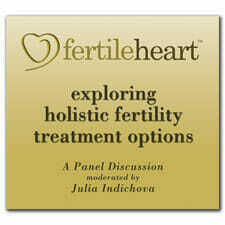 The Fertile Heart™ Body Truth practice allows us to examine these ideas – through a series of movement sequences and a guided meditation – in the exquisite laboratory of our own lives. The ideas shared are not intended to replace the guidance of a health professional. Each listener is expected to take full responsibility for her/his well being. 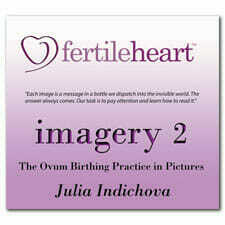 Copyright ©2008-2018 Julia Indichova and FertileHeart.com All rights reserved.